Acknowledged for the skill and clarity of his written and oral submissions. Benjamin’s practice is rooted in the defence of serious crime encompassing fraud, violence and drugs offences. He specialises in providing tactical advice to prospective defendants pre-charge and he is often the final port of call for advice on appeal. He conducts Court-Martial work and has developed a particular specialty in defending individuals charged with motoring offences or advising businesses on how to deal with motoring offences that could affect them. Benjamin is frequently instructed to conduct private prosecutions in addition to prosecutions on behalf of the Crown Prosecution Service, the Royal Mail Group PLC and the National Probation Service. Benjamin has developed a strong regulatory practice. He has previously been instructed by private individuals to conduct licencing appeals including those relating to the ‘fit and proper person’ test. He is regularly instructed by local authorities to advise on, and prosecute, matters relating to fraud, planning, environmental law and food hygiene offences. The remainder of Benjamin’s practice is founded upon civil work with a criminal aspect. Aside from a significant experience of dealing with civil orders made by the criminal courts, he has conducted Judicial Review proceedings, appeals by way of case stated and is often instructed to conduct cash detention, forfeiture and restraint order proceedings. Benjamin’s practice is rooted in the prosecution and defence of serious criminal offences and is instructed in cases straddling the spectrum of criminal law including cases with particular sensitivities. He is frequently instructed to advise individuals and businesses pre-charge and his involvement has often led to prosecutions being discontinued or remimtted for ‘out of court’ disposals. He is often instructed to advise in respect of private prosecutions. Currently instructed to advise an individual who is being investigated in relation to the importation of 500Kg of cocaine. Currently instructed to represent an individual charged with the supply and distribution of cocaine across the UK. R v. NS (Stratford MC and Woolwich CC) – complete discharge at committal proceedings in relation to allegations concerning the supply of class A drugs. When NS was charged with the same offences for a second time, the prosecution formally offered no evidence upon those allegations following pre-trial legal submissions. 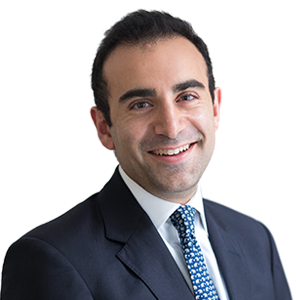 R v. AB (Isleworth CC) ­– successful application to dismiss allegations relating the supply of class A drugs. R v. CW (Isleworth CC) – instructed to represent someone charged in relation to the supply of class A drug, blackmail and a number of other offences. During the course of the 6 week trial, as a result of legal submissions, the prosecution accepted they could not proceed with allegations relating to blackmail. R v. A and A (Woolwich CC) – father and son charged with kidnap and allegations of violence in the build-up to what, the prosecution alleged, was a forced marriage. After obtaining defendant’s mobile telephones and instructing forensic experts to authenticate ‘time stamps’ and ‘geo stamps’, the prosecution was forced to offer no evidence across the entire indictment. R v. AR (Central Criminal Court) – instructed to defend allegations of witness intimidation and various other offences. The defendant was acquitted of all offences despite the fact that the Judge’s summing up including a direction that no lawful defence had been provided in response to the criminality alleged. R v. CB (Harrow CC) ­– successful defence of mistaken identity relating to an individual charged with an allegation contrary to s.18 OAPA 1861 in respect of his alleged neighbor. R v. XY – successful defence of an individual charged with firearms offences: after a careful analysis of the statutory regime, the prosecution was forced to accept that the items seized were not prohibited by the statutory framework. R v. RM (Lewes CC) – successful defence of an individual who, alongside 3 others from the Essex area, had been charged with ‘conspiracy to burgle’ in respect of numerous burglaries around the south coast. In total, RM faced an 8-count indictment. Each and every allegation against him was dismissed (each for different reasons). The others proceeded to trial. R v. AN (Southwark CC) – successful defence of an individual who, alongside 5 others, had been charged with ‘conspiracy to burgle’ in respect of numerous burglaries outside London. AN was the only person to succeed with an application to dismiss. The others proceeded to trial and in due course all received lengthy sentences of imprisonment. Benjamin has considerable experience in respect of cases involving vulnerable individuals. He is often instructed in cases involving individuals who are ‘unfit to plead’, individuals who need intermediaries or young individuals. He has a thorough practical experience of the legislative framework concerning hospital orders and hybrid orders. Benjamin specialises in offering advice to individuals and corporations alike in relation to motoring offences including speeding, drink-driving and dangerous driving. He has an exceptional record when instructed to represent those most at risk of losing their driving licences as a result of “totting”, “revocation” or “mandatory disqualification”. Benjamin is frequently instructed on appeals against a decision from the Magistrates’ Court and, on rare occasions, to negotiate pleas of ‘guilty’. He has particular expertise in advising foreign nationals in relation to road traffic offences. Benjamin’s has a particular interest in white collar crime. He is often instructed in cases which require a great deal of data manipulation and an eye for detail. He has a thorough understanding of disclosure obligations and has been instructed in cases which simultaneously require consideration of the ‘big picture’. R v. KP (Snaresbrook CC) – instructed to represent an individual charged with numerous high-value frauds in relation to cloned credit cards and various related offences. The fraud offences were all dismissed before the trial and the remaining related offences were resolved by verdicts of ‘not guilty’. R v. AB (Southwark CC) – successful defence of a defendant charged with conspiracy to defraud in respect of numerous high value car sale involving purchasers around the world and money laundering involving sums well in excess of £1million. Prosecution forced to offer no evidence across the whole indictment halfway through the trial. Led by Richard Jory QC. R v. AB (Isleworth CC) – successful defence of a defendant charged with conspiracy to defraud the metropolitan police in respect of high value motor vehicles. R v. SF (Isleworth CC) – instructed to represent an individual charged with numerous money laundering offences. After significant pre-trial work, the prosecution accepted a plea of ‘guilty’ to a single count of money laundering for which SF received a conditional discharge. R v. DP (Guildford CC) – successful prosecution involving a wealth of unused material and a large number of losers from around the world. The first trial had been adjourned and Benjamin was brought in to ensure the trial would be effective. In course, the defendant was forced to change his pleas to ‘guilty’. Benjamin is frequently instructed to prosecute a full range of regulatory offences on behalf of the local authorities including in respect of smoking in enclosed premises. Benjamin is also frequently instructed to represent those prosecuted for the full range of regulatory offences. Benjamin has a particular interest in the prosecution and defence of planning offences. He has a wealth of experience dealing with cases involving enforcement notices, homes in multiple occupation the payment of business rates. He is frequently instructed in cases concerning food hygiene and has significant experience in the prosecution of environmental offences. Benjamin has also been instructed in prosecutions brought by OFCOM and the ICO. Benjamin has conducted appeals to the High Court by way of Judicial Review and by way of Case Stated. Benjamin is frequently instructed to conduct applications for the provision of information provided to either the magistrates’ court or the Crown Court in support of an application for a search warrant and he is very experienced at dealing with PII submissions in the course of those applications. The information obtained by those applications often provides valuable material for defendants in any criminal trial and can even lead to the exclusion of evidence in any criminal trial. Benjamin has a particular interest in civil proceedings that stem from criminal investigations. He has been instructed in a number of civil proceedings on behalf of various prosecuting agencies. R v. NK – which involved money lodged with ‘committees’ in the community and promoting a well-known boxer. R v AB – involving a large amount of cash in various currencies seized from a business premises. Benjamin has conducted cases under the Police Property Act and the Road Traffic Act 1988 (Retention and Disposal of Seized Motor Vehicles) Regulations 2005. Benjamin is often instructed to advise individuals and business in respect of restraint proceedings and has successfully ensured that Restraint Orders are varied to ensure that individuals and businesses are able to remain liquid. Benjamin has been instructed to prosecute and defend in a number of confiscation proceedings even when he has not conducted the index criminal trials. When prosecuting, he has ensured the confiscation of large figures, even after Judges have commented that they have been minded to rule in favour with ‘everything the defendant has said’ and, when defending, has managed to significantly reduce the amount sought.